Fifteen regions saw monthly rainfall norm. 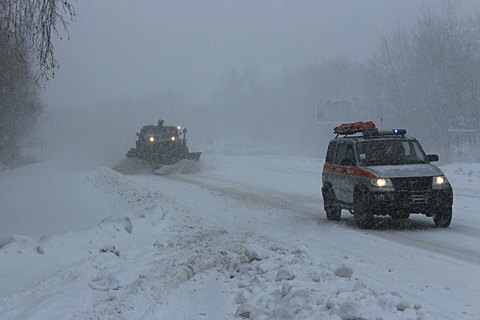 In the period from 12 to 14 November heavy snow, rain and wind gusts caused blackouts in 988 settlements in thirteen regions of Ukraine, the State Service for Emergency Situations said Monday, 14 November. Situation in the Ternopil, Khmelnytsky, and Ivano-Frankivsk regions is considered the worst. Fifteen regions of Ukraine had the monthly norm of precipitation in the form of snow and sleet. In seven regions, nine minor traffic jams were promptly eliminated. Around 200 km of roads were cleared of snow. According to Ukraine's Hydrometeorological center, cyclone will leave Ukraine in the second half of Monday.